The Vega Gull is peacock blue with silver wings, more splendid than any bird I've known, and somehow mine to fly. She's called The Messenger, and has been designed and built with great care and skill to do what should be impossible - cross an ocean in one brave launch, thirty-six hundred miles of black chop and nothingness - and to take me with her. 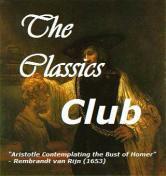 I've missed my book club this winter. It's been nice to read according to my whims, but I'm already looking forward to our meeting next month. 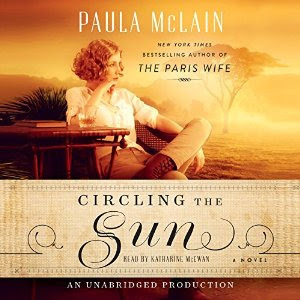 Last week I got an email announcing the May selection and was a little disappointed to see Circling the Sun. Several years ago, after rereading A Moveable Feast by Ernest Hemingway, I listened to McLain's The Paris Wife. It was a good book, but not a favorite. 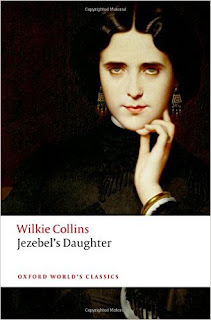 I may be tiring of the fictionalized biography trend, but will still give this a try. After a false start over the weekend (listened to 15 minutes before bed and just wasn't interested), I popped in my earbuds yesterday morning, went back to the beginning, and headed out for a walk. The story seemed more engaging this time, and Katharine McEwan's narration is captivating. I feel a bit more positive now. 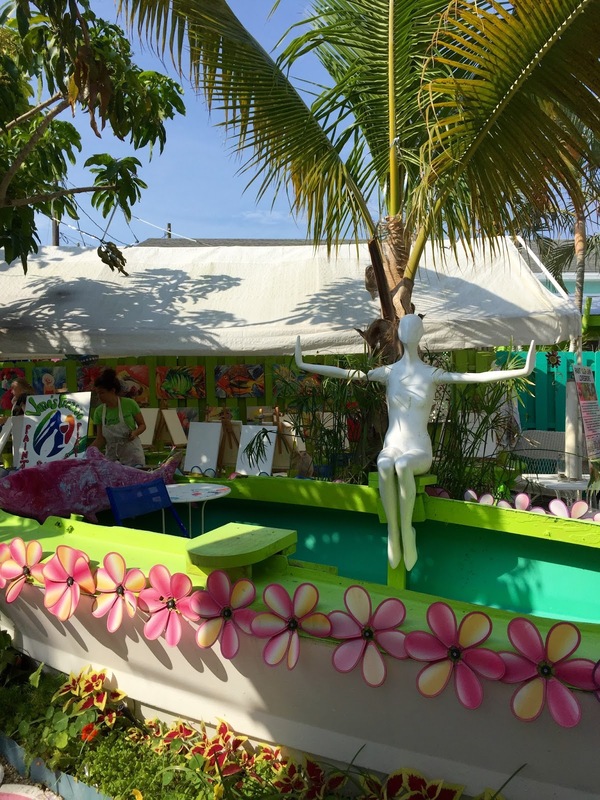 This is it, the last Sanibel Sunday of the season. It's coming to you a little later than usual today because I decided to spend the morning reading rather than writing. Definitely the right decision... I'm going to miss this spot. As you might have guessed, my feelings about leaving are decidedly mixed. I'm not quite ready to leave Florida, but I am anxious to see my family and friends back in New York. Twin A and her boyfriend flew in Tuesday night. We enjoyed their company for a few days and now they are driving one of our cars, and Zelda, back home. The rest of us will start the journey next weekend. 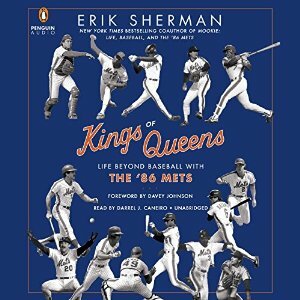 I loved this book...a must read for fans of the late 80s Mets! Much more than a simple "where are they now", these player interviews are filled with insight, reflection, and even regrets from those glory days. Just finished this morning - a very entertaining summer read! My book club will be discussing this next month. I used an audible credit to download the audio version and also put the ebook on hold at the library. I listened to the first 15 minutes or so yesterday and am just not feeling it yet. I think I'll go back to the beginning and try again. 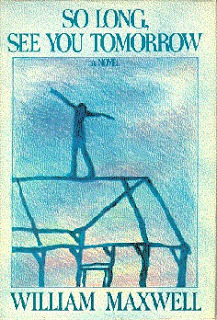 Have you read this book? Cleaning, organizing, and packing. Plus, we still have a few more items to check off the "to do" list. We'll hit the road Friday or Saturday... I suppose it's time. This post will link to It's Monday! 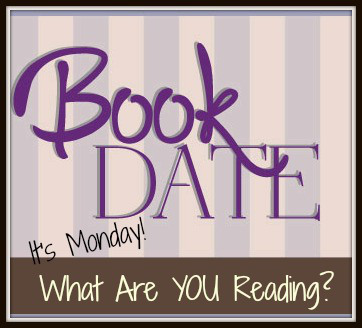 What Are You Reading? hosted by Kathryn at Book Date. This book was on my radar long before its release. The appealing blurb and eye-catching cover made it sound like a collection I'd enjoy, but when reviews began to appear they were decidedly mixed. I started to waver. A couple of weeks ago, I discovered American Housewives on the shelf at the local library and decided to bring it home. What did I have to lose? The first story was just a few pages long and I thought the second was very good. "The Wainscoting War" chronicles a neighborly spat over common hallway decor through the combatants' email exchanges. It was quite funny and seemed to set the tone for the rest of the collection. 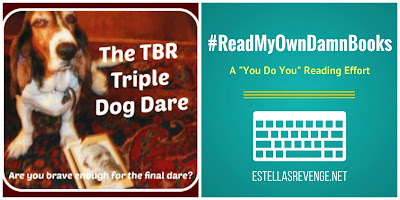 Overall, there were a few more stories I really liked ("Dumpster Diving with the Stars", "Hello! Welcome to Book Club", and "The Fitter") but just as many were only okay or fell a little flat. I'm glad I borrowed the book from the library. Bottom line: Sassy and snarky, but a little uneven. Some stories were very funny, while others missed the mark. The Days of Abandonment is a short, beautifully written novel, arguably even more raw and intimate that Ferrante's famed Neopolitan novels. However, it was not a particularly enjoyable reading experience. Though the story is fascinating, it was like watching the proverbial train wreck. I could not bring myself to turn away. Certainly, Ferrante's objective is to make the reader squirm. Mission accomplished! 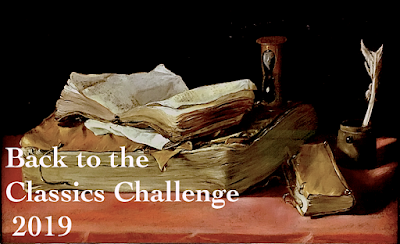 Hillary Huber's narration is controlled, deliberate, and perfectly suited to the story. I chose to listen to most of the novel at 1.25x speed. After reading six Ferrante novels in fourteen months, I'm finally ready for a break. As the rest of the guests wandered the deck of the beach club under an early-evening midsummer sky, taking pinched, appraising sips of their cocktails to gauge if the bartenders were using top-shelf stuff and balancing tiny crab cakes on paper napkins while saying appropriate things about how they'd really lucked out with the weather because the humidity would be back tomorrow, or murmuring inappropriate things about the bride's snug satin dress, wondering if the spilling cleavage was due to bad tailoring or poor taste (a look as their own daughters might say) or an unexpected weight gain, winking and making tired jokes about exchanging toasters for diapers, Leo Plumb left his cousin's wedding with one of the waitresses. I just realized that the first paragraph is actually a single sentence, but it sets the stage nicely by giving us a peek into the world of the Plumb family. 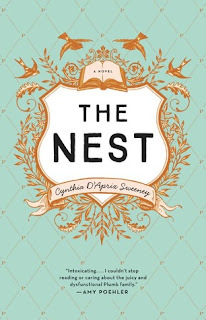 This novel seems to be the hot ticket lately and I was surprised to discover the newly-added ebook available for download at our FL library... especially since I've been on my home library's hold list for weeks. I've read about 25% of the book so far and am completely hooked. The goodreads summary is a little too long to share, so click here if you're curious. I think this is a classic "rich people behaving badly" story. Four adult siblings have lived their lives expecting an inheritance (referred to as "the nest") when the youngest turns forty. Now the date is approaching and distribution of "the nest" is in jeopardy. Sunday again... and just two weeks left in Florida. Highlights this week included a day trip to Shark Valley in the Everglades and exploring coastal communities to our north. A couple of home improvement projects/repairs were completed, too, and we've scheduled two exterior jobs for after we leave. Time is winding down, but signs of spring are finally starting to appear at home. It was a good week in reading, too. My sixth Ferrante novel since reading My Brilliant Friend last March, I may be suffering from burnout. Mini review this week. It's been a while since I last read a short story collection... this one was a little uneven. Mini review this week. I was surprised to find this ebook available on the library's website. They must have added it just before I clicked over. 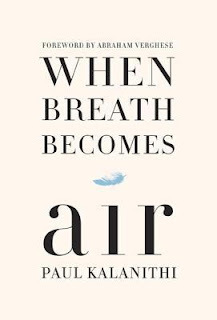 Started reading last night and love it! I'll bet you didn't know I was a Mets fanatic in the late 80s and early 90s. That's a story for another time, but I am absolutely loving this book! It's both a trip down memory lane (with fresh insight) and a profile of the players' lives in the thirty years since that historic season. Today will be a typical Sanibel Sunday - farmers market, long beach walk, and dinner with my FIL. We have a couple more 'exploring excursions' on tap this week and plans for the trip home are starting to take shape. Twin A and her boyfriend will return this week. They'll drive one car (and Zelda) back home for us. We'll linger an additional week, then my husband, Twin B, and I will hit the road, too. I can't believe we been here since January... it doesn't seem like it's been that long. This was a tough listen, especially the descriptions of victims' experiences. It also made angry. I mean really angry... at the criminal justice system, at the police, at the accused rapists, and, to a certain extent, at the choices some of the women made which placed them in dangerous situations. 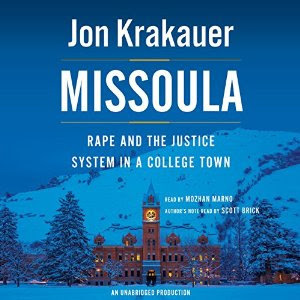 Despite all that, Missoula is an important book to read, especially if you are the parent of a college-aged daughter. This book is thoroughly researches and well-written. The audio version, narrated by a new-to-me talent, Mozhan Marno, was excellent. Bottom line: Recommended, but proceed with caution. History at its most entertaining! A combination of first-person anecdotes from White House maids, butlers, florists, etc. and extensive research provides readers with an intimate look at first families from the Kennedys years through the Obamas. 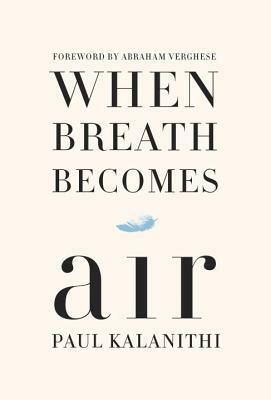 Every family has their own quirks and habits and, after listening to this book, I felt I knew them all just a bit better. I also enjoyed the peak at life 'below stairs' in the White House and have a greater appreciation for all the happens behind the scenes. I've already added Brower's new book, First Women: The Grace and Power of America's Modern First Ladies to my wish list. Another week has past. The island seems slightly quieter (or maybe it's only my imagination) and the season is winding down. We have composed our list of things to do, projects to complete, and appointments to schedule before heading north. It's also time to start thinking about the trip itself... what to do, what to see, where to stay. I love planning a road trip! It's as good as everyone says! I couldn't stop reading/listening and stayed up until 2 AM to finish. I'm not exactly sure how this happened, but I have four active bookmarks right now. I'm most comfortable with two - one print and one audio. Occasionally it creeps up to two in print when I have one physical book and one on my kindle to read in the dark at bedtime. This week's trip to the library left me with an additional print book... which I justified because it's a short story collection. We'll see how this goes. A review copy from OWC, I had hoped to pick up this relatively slim (by Victorian standards) novel a few months go. After just a couple of chapters, I can see it will contain many of Collin's signature devices and hope it is just as much fun, too. I was really excited about this collection when it was released in January, but reviews have been mixed. Decided to pick it up after I discovered it on the library shelf Friday... the first two stories get two thumbs up. 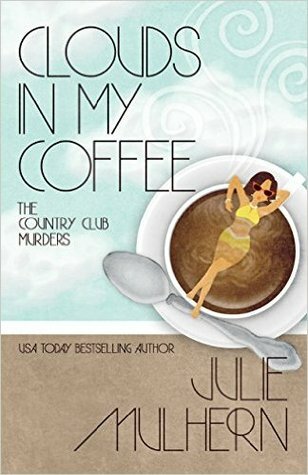 The third installment of The Country Club Murders is on my kindle courtesy of Henery Press and NetGalley. 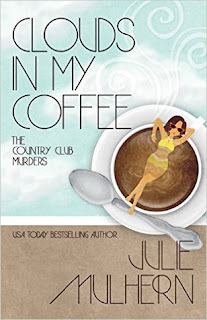 I really enjoyed the first two books of this cozy mystery series, so decided to request the latest. I read the first two chapters last night and don't expect to be disappointed. Remember how I succumbed to #FerranteFever last year? Audible offered one of her earlier novel as a daily deal last week and I downloaded it right away. 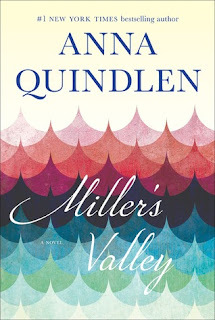 Like The Neopolitan Novels, it is narrated by Hilary Huber, told in the first person, and does not appear to have an especially cheery tone. It is also just as compelling so far. Typical Sunday stuff ... farmer's market, a walk on the beach, and my FIL will join us for dinner. I do love Sundays! What are you up to today? Are you reading a good book? The gravel pit was about a mile east of town, and the size of a small lake, and so deep that boys under sixteen were forbidden by their parents to swim there. I knew it only by heresy. It had no bottom, people said, and because I was very much interested in the idea that if you dug a hole straight down to anywhere and kept on digging it would come out in China, I took this to be a literal fact. One winter morning shortly before daybreak, three men loading gravel there heard what sounded like a pistol shot. Or, they agreed, it could have been a car backfiring. Within a few seconds it had grown light. No one came to the pit through the field that lay alongside it, and they didn't see anyone walking on the road. The sound was not a car backfiring; a tenant farmer named Lloyd Wilson had just been shot and killed, and what they heard was the gun that killed him. I've never read William Maxwell and, in fact, had never even heard of him before I started blogging back in 2008. Sometime after that, Rachel began to rave about his work and I made a mental note to read him soon. "Soon", unfortunately, turned into five years. Last week, I stumbled upon this book at the library and brought it home with me. It's very short (less than 150 pages) and the writing is excellent. I'm enjoying it very much. Good morning, friends! 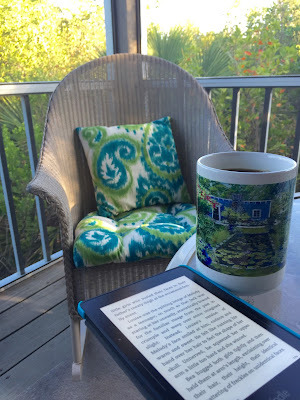 It's a gloriously cool, breezy morning in Sanibel... 66 degrees and lower humidity, at last. Perhaps I'm not cut out to be a year-round resident, but judging from the snowy photos my mother and sister sent this morning, it's not time to head home just yet! Yesterday we visited a Ford Thunderbird show at Edison & Ford Winter Estates in Ft. Myers. I'm not a huge car buff, but have always thought T-birds are kind of cute. The blue car in the photo above traveled to all 48 continental states and has a photo near each "Welcome to" sign to prove it. What a road trip that must have been. We did end up taking a boat tour to Useppa Island early in the week... such a gorgeous place! It was like stepping back in time. During the island's “Golden Years”, visitors included the Vanderbilts, Herbert Hoover, Rockefellers, Rothschilds, Gloria Swanson, Shirley Temple and Zane Grey. Later the island was abandoned and eventually used by the U.S. government as a base for the Bay of Pigs invasion in Cuba. Today it has been restored to its original Old Florida elegance. 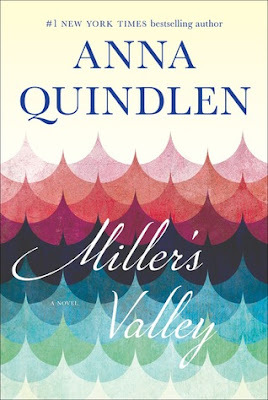 I loved everything about this novel... look for a review this week. 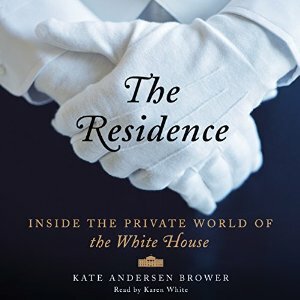 A mostly listening read/listen combination... memories and anecdotes from the White House service staff from the Kennedy years through today. Maxwell has been on my 'authors to read' list for a long time, so I was happy to discover this on the shelf at the library. ... ended a few days ago and didn't go quite as well as I'd hoped. Much of what I read turned out to be library holds or ebooks already on my kindle, so the number of physical books on my shelf barely changed. 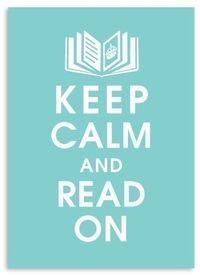 I plan to follow Andi's lead and make an effort to #ReadMyOwnDamnBooks for the rest of the year. Our usual Sunday routine... the farmers market, a walk on the beach, then my FIL will join us for dinner. I'm hoping to squeeze in an hour or two of reading, too. What are you up to today? 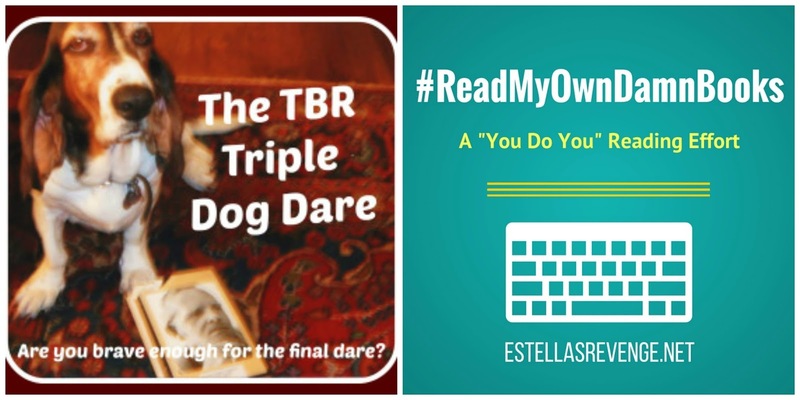 Did you read anything good last week? This post will link to It's Monday, What Are You Reading hosted by Kathryn at Book Date. Supreme Court Justice Ruth Bader Ginsburg never asked for fame—she was just trying to make the world a little better and a little freer. But along the way, the feminist pioneer's searing dissents and steely strength have inspired millions. 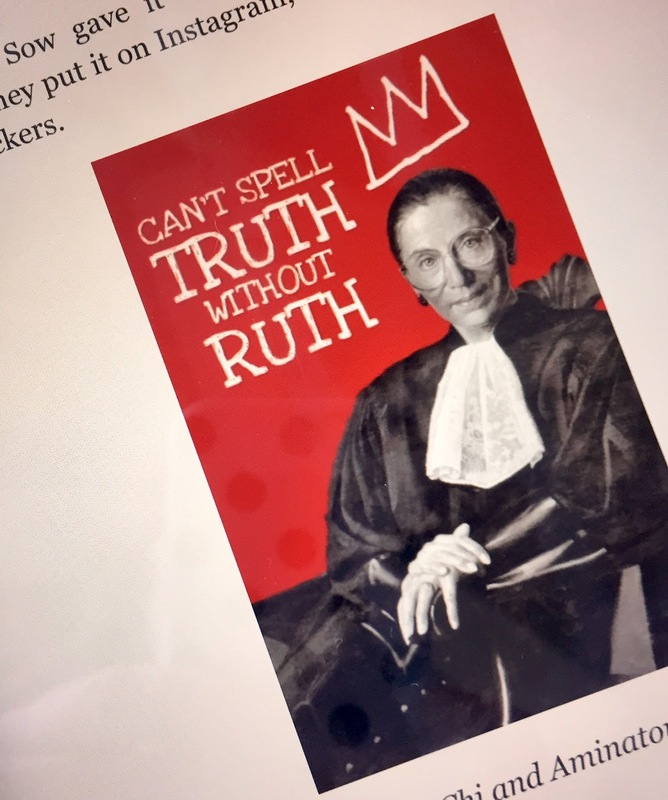 Notorious RBG: The Life and Times of Ruth Bader Ginsburg, created by the young lawyer who began the Internet sensation and an award-winning journalist, takes you behind the myth for an intimate, irreverent look at the justice's life and work. As America struggles with the unfinished business of gender equality and civil rights, Ginsburg stays fierce. And if you don't know, now you know. With the recent death of Antonin Scalia, a controversial proposal of a new justice (the action not the man, as far as I can tell), and an expected string of 4-4 Supreme Court decisions, Notorious RBG has become a very timely read. This biography, which covers both RBG's professional and person life, was much more interesting than expected. It is humanizing, and it also increased my respect for this remarkable woman. A pioneer in many ways, Ginsburg has fought tirelessly for equal treatment under the law for all people. Much of her professional success has come from being a careful, methodical thinker and recognizing that change is incremental. According to RBG "real change, enduring change, happens one step at a time." The mantra in her chambers is "Get it right and keep it tight." I highly recommend this book, but be sure to look for a print edition. If you must go the ebook route (as I did), use a device which allows you to fully appreciate the great color graphics and photographs. I was much happier after switching from my kindle to an iPad. If you choose to listen to the audiobook, be sure to at least look through a print version at your library or bookstore. 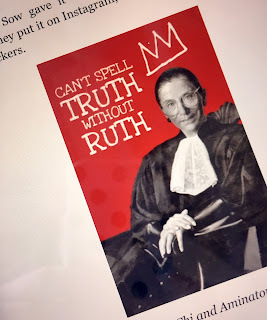 Notorious RBG reminded me of how much I enjoyed reading The Nine: Inside the Secret World of the Supreme Court by Jeffrey Toobin several years ago. 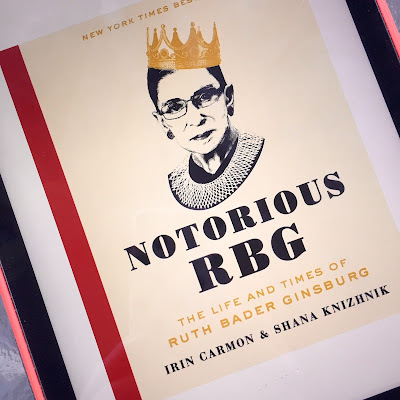 Since finishing this biography, I have added Sisters in Law: How Sandra Day O'Connor and Ruth Bader Ginsburg Went to the Supreme Court and Changed the World by Linda Hirshman to my reading list. What books about the Supreme Court you have enjoyed?